I want to know how microbial communities form over time and how they adapt to their environments. In grad school, I collected poop from 142 animals belonging to 12 species housed at 4 different zoos to investigate how host diet and genetic background select for specific microbial taxa and functions. As a postdoc, I have expanded the scope and scale of my research to sourdough and other fermented foods, leveraging citizen science and global collaborations to characterize the microbial cultures that lie at the center of human culture. Beyond the lab, I bring research into the classroom to empower high school and undergraduate students. It is never too early to be a scientist; and the more diverse perspectives there are, the more innovative our research will be. McKenney, E. A., Greene, L. K., Drea, C. M., & Yoder, A. D. (2017). 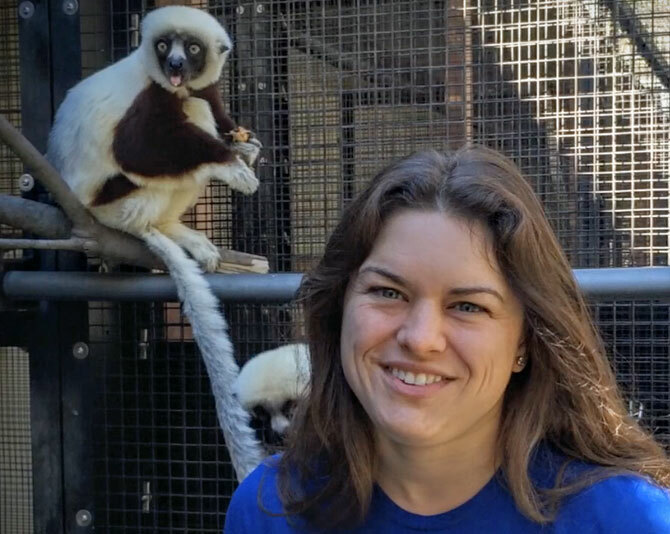 Down for the count: Cryptosporidium infection depletes the gut microbiome in Coquerel’s sifakas. Microbial Ecology in Health and Disease, 28(1), 1335165.